Every once in a while a new concept appears that is so good that everyone hopes it will become a reality. 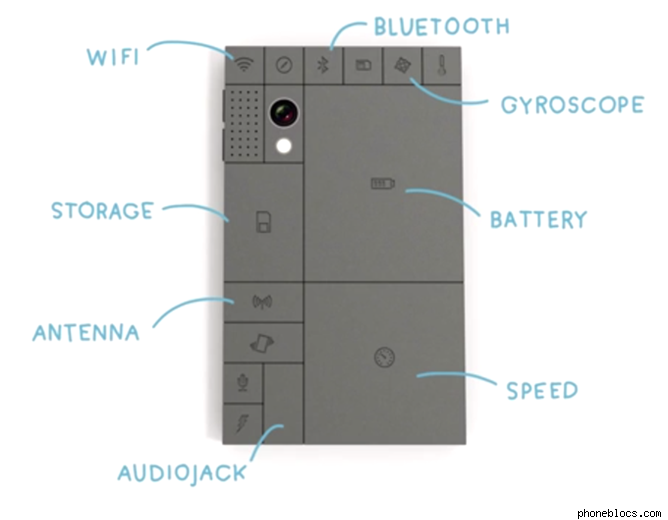 Phonebloks is a good example. Dave believes smartphones are a big contributor to electronic waste because when one component fails, users often feel swayed to replace the whole phone. Cellphones are the most commonly bought and sold electronic devices. The average consumer uses its cellphone for only about 21 months. That means, we buy a new phone every 1,5 years and throw away the old one. Hence, adding up a lot e-waste. Also, many of us might not be aware that allot of old cell phone components not only turn wasteful, but harmful in the end. For now, Phonebloks is still just a concept, but Dave is running a Thunderclap campaign to attract as much attention to the product as possible. As we speak, Phonebloks has more than 800,000 supporters on Thunderclap and Dave is speaking to specialists in the mobile industry about developing his idea. I'm pretty sure most of us spend our hard earned money on buying a new smartphone every now and then, but if this revolutionary project becomes successful, we could actually save a lot for us and also for the environment. Also, the do-it-yourself mentality of this product will fit right into the new generation of kids brought up with a screen at their fingertips.